Best Wishes to you Jo! Several days ago she kindly gave me the "Arte y Pico" award . This award was created for bloggers who inspire others with their creativity and their talents, also for contributing to the blogging world in whatever medium. When you receive this award it is considered a "special honor". Once you have received this award, you are to pass it on to 5 others. This time it seems there are rules on how to pass it along:1. Pick 5 blogs that you would like to award this honor to.2. Each award has to have the name of the author and a blog link to be visited by everyone.3. Each award winner has to show the award and put the name and link to the blog that gave them the award.4. 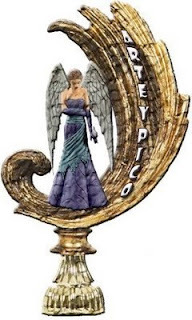 Award-winner and the one who has given the prize have to show the link of "Arte y Pico" blog, so everyone will know the origin of this award. i would like to add two more. Wow!! Feels so great to receive it..
You deserve it so much..
happy to know that you liked it..
Oh...thanks a lot dude...it s an honor..
thank u .. am so honoured..
Congrats on winning the award!! do i deserve that??? eh!! wow!! thanks!! its an honor!! i wish i had a tissue and a speech ready!! MIP-Congrats on your award. I want an invite to Jo's Deskdrawers blog. How can I get one? well, congratulations, you deserve it!